Earlier generations countered the battle against higher mortality rates by raising larger numbers of children, hoping to beat the odds for surname survival. But that meant having to come up with more names for more children than parents these days generally face. The experience did, however, give me empathy for what my grandparents were in for when they elected to populate the Texas Panhandle with extra farm hands named Todd. My father's first and middle names (Dexter Lamar) as well as those of his brothers and sisters -- for a total of eight siblings -- are a case in point. I always marveled at the odd and sometimes strange names my paternal grandparents chose for their children, and a little digging revealed those names were mined (mostly) from my grandmother's side of the family tree. Nonetheless, it's been quite an eye-opener to realize why my grandmother saddled so many of her children with names that sounded like desperation Scrabble words, compelling many of her children to invent alternative nicknames for themselves. Okay, you get the idea. For other genealogists who wander onto this post, enough said. You get the drift. What follows is perhaps of more interest to the descendents of my own immediate family of Todds. Let's list my dad's siblings in order of birth, ending with my dad's own name, and including the nicknames many of them adopted. I've emboldened those names on the list that have analogues to earlier relatives (at least, the antecedent relatives I've identified so far). Certainly, the continuous string of birthdates -- an average of almost one new child every other year for seventeen years -- seems to me sufficient justification for my grandmother, Mary "Mae" (Wilson) Todd, to have earned naming rights. And she exercised that right until the final two children (doubtless too exhausted to care by then), when she seems to have ceded to my grandfather, A.P. Todd, the opportunity to offer a couple of names from his side of the family. But he, too, must have felt compelled to go with his wife's trend of using more -- shall we say, distinctive? -- names from his lineage. Maggie Alice (Mitchell) -- Mae's older sister was named Maggie. Thomas Clifton "Cliff" -- still looking for antecedents for these names. Milton Lewis "Bill" -- Mae's grandfather was named John Milton Wilson (antecedent given and middle names for the famous English Renaissance poet?) 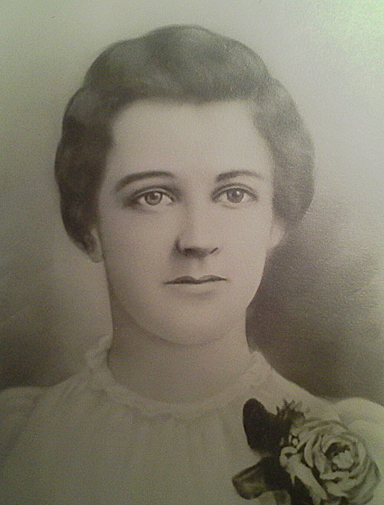 while Mae's grandmother had the maiden name of Lewis. Cyrus Edwin "Ed" -- Mae's older brother was named Cyrus. Lola Bess -- still looking for antecedents for these names. Hardy Buford "Boots" -- AP's father was named Hardy. Of the sixteen given and middle names for these eight siblings, half have clear ancestral antecedents within the famly's previous three generations, which is consistent with the common practice of drawing upon the names of forebears as a source of subsequent generations' names. In my own generation, I got my dad's first name for my middle one (fortunately, my folks refrained from reinstating the "Poin-" prefix for Dexter); to his chagrin, my brother Stephen got his middle name of Watt as a namesake for the nicknames given to our own mother's father and grandfather (their real names were both Watkins but both father and son went by "Watt"); and our sister got our mother's first name of Mary although our sister decided to go by her middle name of Suzanne. The Ancient Egyptians believed that a person never died as long as their name was spoken by the living. In some ways, the tradition of naming descendents for ancestors accomplishes the same thing. Besides, it's reassuring to realize how our ancestors live on not only in our DNA but also through our names. Mark and Kym Todd are volunteers on WikiTree, a project to create the entire human tree. 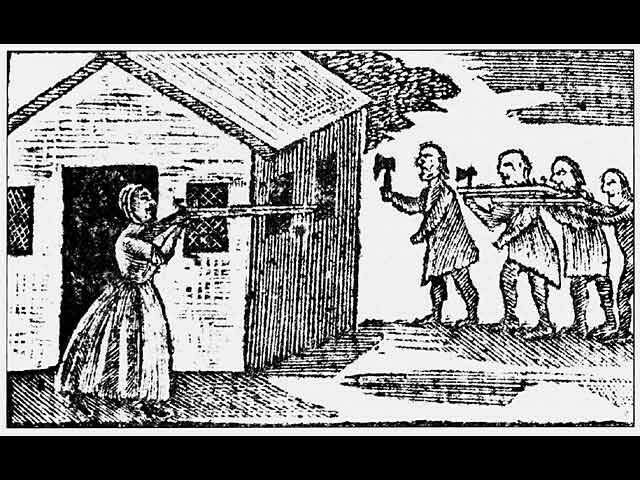 Given the patriarchal nature of historical European and American recordkeeping, it's often easier to document the lives of men rather than women during the seventeenth and eighteenth centuries in early America. But on occasion, stories emerge -- even though limited by available statistical and vital records -- that provide glimpses into the courage and determination of our maternal American ancestors. Two such women came to my attention in the past month during research efforts to chart family records during the Colonial period in American history: the life of Juliana Connor King (my maternal eighth great-grandmother) and the life of Grizel Kessiah Sims Cocke (the wife of a first cousin, six times removed). Both proved resilient, resourceful, and more than capable of surviving and even thriving, despite the loss of one or more husbands. Gullian ("Juliana") Connor was born about 1637 in England. Nothing is known of her parents or her circumtances, but she may have secured passage to the New World as an indentured servant. She sailed from England, apparently alone, to the Isle of Wight, Colonial Virginia, with Capt. William Canfill, who transported her to the westward side of Lyons Creek near Hoggs Island Creek on 24 Jan 1656. Juliana arrived in Colonial Virginia at about age 19, and she may have sought marriage as soon as possible: Young women were emancipated from servitude as soon as they married, but she also arrived as a "headright," an immigrant entitled to 50 acres of land upon marrying, which would have made her a prize in a world where single women were scarcer than in the colonies further north. And, in fact, she did marry William Henry King, a planter, that same year of 1656 in Surry, Isle of Wight County, Colony of Virginia, British Colonial Amerca, and the couple had a child, Henry, the next year, 1657. But her time with husband William lasted only a few years: He died, possibly before 1660 but no later than 1670, which was the year Juliana remarried "since the courts would have appointed a guardian for young Henry and she would have lost control of her son,” according to a King historian, Jeane Austin King Gelau. Juliana's new husband, Darby Stantlin, ill at the time of the union, recorded in a will on 25 Apr 1670, in Upper Parish, Isle of Wight, Colony of Virginia, "wife Gulian, sick at present time, if she should die, my friend Mathew Waikley [is] to remain on my plantation until Henry King becomes of age; in case of wife's death and of her son Henry King my plantation [goes] to Mathew Waikley." She survived, but husband Stantlin did not, and that same year on 25 Oct 1670, she once again married, this time to Waikley, according to court records: "acknowledged in open court by Gullian Stantlin and confiremed [sic] by Mathew Waikley her now husband." Times must have been tough and trying despite her multiple alliances because "Gullian" died in or before 1680, at the age of 43, since Waikley recorded a will on 18 Mar 1680, for which the abstract states, "by noncupative will, whole estate to Henry King." Juliana's life reveals her ability to navigate legal and civil limitations of the time and the requirements of marriage in order to make her way in the New World from the very start, and to marry twice again to preserve the future inheritance of her son Henry. Grizel Kessiah was born on 15 Jan 1768, in Amelia, Culpepper County, Colonial Virginia. She married Parrish Sims on 5 Feb 1788, when Grizel was 20 years of age. The family moved to Hawkins County, Territory of North Carolina (later to become Hawkins County, Tennessee, in 1793) . According to Sims historian Almon Sims, "Both Parish and his father were large land owners, had slaves, and were active in the early development of Hawkins County which in the early days included Claiborne, Hancock and Grainger counties, all in North Carolina territory." Almon Sims's account goes on to state, "Parish Sims, with his wife Grizel (Kessiah) and their children, his widowed mother and most of his brothers and sisters . . . started from Hawkins County in East Tennessee in the Spring of 1807 with four boats. When the boats had ascended Elk River . . . [they] concluded to stop and settled what was long known as Sims Settlement, in Limestone County, Ala."
Later that same year, on 26 Nov 1807, Parish wrote his last will and testament, stating, "I, Parrish [sic] Simes . . . give to my beloved wife, Grizel, all of my estate." He died only a few months later in Sims Settlement, Limestone County, Alabama. Cocke had spent time trailblazing and settling lands in Kentucky and later East Tennessee in the company of Daniel Boone. According to an entry in Wikipedia, Cocke "was elected a member of the Virginia House of Burgesses and a colonel of militia; in 1776, he led four companies of that militia into to what became Tennessee for action against the Indians," who had allied with the British during the War of Independence. Later, Cocke was appointed as the Agent for the Chickasaw Indians in a First Nations' dispute against the Sims Settlement inhabitants as trespassers. Almon Sims records, on "September of 1810, a petition was sent to President Madison, and one of its signers was Grizell [sic] Sims, widow of Parish. . . . This petition asked the President not to allow the removal of the settlers even though their purchase of the land from the Cherokees was in dispute by the Chickasaws. This 'trouble with the Indians' is significant in that it may be how widow Grizel Sims, referred to in some records as Kissiah Sims, came to meet and know William Cocke." Grizel's gumption must have made quite an impression on Cocke since the two married that same year. The couple later moved to Columbus, Mississippi, where they lived "in the dogtrot cross hall two-story log house on the bluff above the Tombigbee," according to the family records cited by Sims descendent Hershel Parker. Cocke continued a political career and, at times, serving in appointed positions for the President, including a commission as General in the U.S. Army during the War of 1812. Grizel died in 6 Aug 1820, and was buried in Columbus, Lowndes County, Mississippi, where her second husband was later buried in 1828, and where they share a joint tombstone. Available records don't do justice to either of these women, but we nonetheless see glimpses -- albeit at times almost between the lines -- that they were often actors on the stage of early America in ways we can only surmise as compared to the lives of their better-documented husbands. However, they often persisted beyond the lives of those husbands, leaving their own marks in the record books and in the lives and traditions of subsequent family generations. 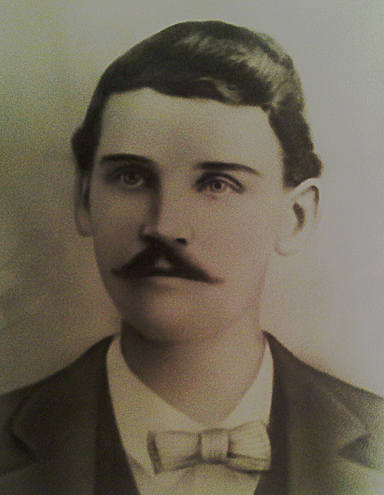 My Ulster-Scots ancestor Pariss Sims was as perplexing in genealogy as he was in life. Some genealogies maintain his name was Pariss while others insist it was Parish, disputing whom he married, who his parents were, and where he was born and died. There are verifiable records that back up both accounts -- and sometimes at different locations at the same time. Pariss had a father named James Barlett Sims, born in Belfast, Antrim County, Province of Ulster, Northern Ireland. Parish also had a father named James Barlett Sims, born in Belfast, Antrim County, Province of Ulster, Northern Ireland. Pariss had a wife named Keziah. Parish had a wife named Grizel Kessiah. Both emigrated to Tennessee from North Carolina. Both found their final homes in 1807. The initial confusion stems from the often-sourced 1948 book by Almon Sims, The Pariss Sims Family. Then Almon Sims published a 1965 revision, in which he corrects the first book, anouncing in a new forward that he made a "serious error, by confusing Pariss Sims, our ancestor of Giles County, Tenn., with Parish Sims who made Sims Settlement on Elk River, just south of Giles County, in Limestone County, Ala., in 1807, the same year our Pariss arrived in Tennessee from North Carolina. This error was caused by the two being confused in an early history of Giles County, Tennesee." It took me months to sort out Pariss from Parish, and it turns out the two were related: Pariss Sims's brother was James Bartlett Sims Jr, whose first-born son was named Parish Sims. What follows are snapshot sketches of each of their lives, piecing together how these two individuals became so entangled. Pariss Sims (my fifth great-grandfather) was born between 1740 and 1750 in Belfast, Antrim County, Province of Ulster, Northern Ireland, to James Barlett Sims Sr.
Pariss and his brother James Bartlett Sims Jr were both born and grew up in a region where state-sponsored settlements were part of the Plantation (colonization) of the Province of Ulster in Northern Ireland, which had begun in 1609. This scheme, instituted by James VI of Scotland when he became King of England, was intended to confiscate all the lands of the Catholic Irish nobility in Ulster and to settle the province with Protestant Scottish and English colonists on confiscated land. Ulster-Scots weathered the turbulent relocation and colonization, but throughout the 18th century, considerable numbers of these Plantation settlers began immigrating to the North American colonies. Pariss's older brother, James Bartlett Sims Jr, emigrated to British Colonial America in the early 1760s, and Pariss followed with two younger brothers in 1765, settling first in Pennsylvania, but with Pariss later moving near Salem, North Carolina. According to Continental Army pay vouchers, Pariss enlisted during the War of Independence. Family tradition claims he served in Gen. George Washington's personal body guard, wintering at Valley Forge and even crossing the Delaware with the commander-in-chief. He married Keziah Royster of Granville County, North Carolina, in 1782. The family moved from North Carolina to Tennessee in the summer of 1807: "With all their possessions loaded into a covered wagon, drawn by oxen, Pariss Sims and his family set out on a rugged trek," a trip that took some 40 days, and settled in what is now Giles County, Tennessee, according to Almon Sims. Pariss Sims died in 1833 and is buried in English Cemetery, Campbellsville, Giles County, Tennessee. Pariss's older brother James Bartlett Jr, had come to the Colonies in the early 1760s and married Elizabeth Parrish, who gave birth to their son Parish on 14 Feb 1762 in Patrick County, Virginia Colony. Presumably, Parish (sometimes spelled Parrish) was named for his mother's family. That birth occurred three years before Pariss Sims arrived in the New World. James's family moved from Patrick County to Hawkins County, Territory of North Carolina (later to become Hawkins County, Tennessee), and Parish married Grizel Kessiah on 5 Feb 1788. According to Almon Sims, "Both Parish and his father were large land owners, had slaves, and were active in the early development of Hawkins County which in the early days included Claiborne, Hancock and Grainger counties, all in North Carolina territory." His father James died in 1793. Almon Sims's narrative states, "Parish Sims, with his wife Grizel (Kessiah) and their children, his widowed mother and most of his brothers and sisters ... started from Hawkins County in East Tennessee in the Spring of 1807 with four boats. When the boats had ascended Elk River ... [they] concluded to stop and settled what was long known as Sims Settlement, in Limestone County, Ala."
Uncle Pariss and nephew Parish were both sources for multiple generations of namesakes in the lines of both Pariss and his brother James. Not too surprisingly, confusion and conflation of the different lives of Pariss and Parish persist to this day -- not only for genealogists but even through the hand-me-down stories of their descendants. One of the more satisfying aspects of genealogy research is those moments when information goes beyond mere statistical data and a person's history begins to take shape and tell a narrative -- sometimes revealing glimpses of an individual's personality. Such an instance emerged when I began researching one line of my dad's ancestors, going back five-plus generations to the eighteenth and seventeenth centures. British Isles history buffs and genealogists are likely to be familiar with the so-called Ulster-Scots who immigrated to British Colonial America in droves during the eighteenth century, fleeing the turbulence of the Province of Ulster in Northern Ireland at the time. 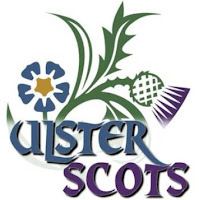 But fewer casual researchers realize that Ulster was home to not only relocated Scots but also a large population of resettled English during Ulster's Plantation conlonization, initiated by James VI of Scotland when he became King of England in the seventeenth century. In effect, the colonization was intended to confiscate all the lands of the unruly Catholic Irish nobility in Ulster and to resettle the province with not only Protestant Scottish but also Protestant English colonists on the confiscated lands. But several generations of resettled Ulster colonists had grown weary of the strife and fueding that resulted, and many determined to relocate to the Americas. Not too surprisingly (given my strong roots in the American South), I had already discovered a strain of true Ulster-Scots from the family of my maternal grandmother (born a Sims). So when I found another group of transplanted Ulster colonists on my paternal side, I immediately assumed they were also Scots. But as I delved deeper, I discovered they had hailed three generations earlier from Essex, England, just north of London -- a far cry from the English-Scottish borderlands. It took a bit of further investigation to make the connection: my paternal Ulster ancestors had settled in the town of Derry in Northern Ireland, which was soon renamed Londonderry by the settlers, to reflect their origins. That group was also comprised almost entirely of families from the London area-based "great guilds." So much for the mystery of the English rather than Scottish origins on that branch of my family tree. But when I started tracing down records and documents for the branches of both grandparents who had arrived from Ulster to the Province of Massachusetts Bay, the story started to become more personal -- especially since it involved two unrelated families until joined in marriage by my ancestral grandparents. Matthew Gray Jr (my fifth-generation grandfather) arrived in Worcester County, Province of Massachusetts Bay, in 1718 as a ten-year-old, accompanying his father Matthew Sr and grandfather John Gray Jr, alongside other new immigrant families from Londonderry, Northern Ireland. The new arrivals were not partricularly welcome in Masschusetts Bay, shunned, as it were, by the second-generation Puritan descendents already in Worcester County. Only 26 years earlier, in 1692, the English king had issued the colony a new land charter that shifted voting rights from Puritan church membership to land ownership. Bolton explains, Puritan forefather and minister "Cotton Mather had in mind very early that the emigrants from Ulster would be useful settlers on the frontier. In 1718 the village of Worcester could claim a position on the Massachusetts frontier, although it lay only forty miles from Boston. First settled in 1674, it was deserted in King Philip's war, 1675, and again in Queen Anne's war, 1702." According to Bolton, however, the Ulster Presbysterians "came to act as a buffer against the Indians, and instead of welcome they received surly conversation from the few inhabitants who turned out to meet them." Another Ulster family had arrived in 1718 from Londonderry: Hugh Kelso, his wife Sarah, and their two-year-old daughter Jean (my fifth-generation grandmother). By trade, Kelso was a wheelright, a craftsman who built and repaired wheels for wagons and carriages. Ten-year-old Matthew Jr would not likely have paid much attention to two-year-old Jean on the two-month voyage to the New World. But the town was small and both the Gray and Kelso families attended the same church in Worcester and participated in the same circles of community involvement. Sixteen years later, when Matthew was 22 and Jean was 18, the two married in 1734 in Worcester. After 1737, according to records reported by Bolton, "The lands now included in the town of Pelham were being opened for settlement, and on the 21st of January, 1738-39, John Stoddard arranged to settle a number of families ... such as were inhabitants of the Kingdom of Ireland or their descendants, being Protestants." Names included in this resettlement as "proprietors" included John Gray Jr and Matthew Gray Sr. But records suggest that Matthew Jr did not relocate to Pelham with his father and grandfather, some 30 miles from Worcester. Instead, Matthew Jr and Jean remained where her parents Hugh and Sarah Kelso still lived. 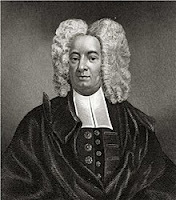 Matthew's father-in-law signed a will on 14 Jun 1737, in which he refers to Jean's husband as "my well beloved son Matthew Gray," and to whom Hugh bequeaths his "wearing cloaths [sic]," a gesture that suggests Matthew and Jean were regularly present in the Kelso household in Worcester at that time, and Matthew had become like a son to Hugh Kelso. Hugh died only two months later, and he named Matthew's grandfather as co-executor to his estate, revealing how close the two families had remained. On 14 June 1742, Matthew and Jean had a daughter in Worcester named Jemima (my fourth-generation grandmother). Jean died 22 years later in 1764, and Matthew would go on to marry twice more before dying himself in 1783. But at his death, he was buried next to his childhood sweetheart in the Old Common Burial Ground in Worcester. For us, it started with DNA tests that whetted an appetite for discovering our own roots. Before long, we were exploring the ancestors who gave us those genes. From family records and relatives' anecdotes, we learned names, dates, places, and stories about our parents and grandparents. But it didn't take long to exhaust those resources in reconstucting our earlier generations. Mark's family came over from England during the Great Puritan Migration of the 1600s, plus a bit of Cherokee mixed in later. Or so he thought. Kym's family came to this country only three generations ago from Norway and Germany. Or so she thought. We next researched available genealogical resources and services, trying out several as a way to methodically recreate our respective trees. At first, it seemed easy enough, and within a few short months, we had each compiled enough second-hand sources to track our seperate roots back a couple of thousand years! Problem was, we soon discovered not everyone researches their own roots as meticulously as we wanted ours to be. We knew we had to look harder to get the facts straight. And so began our real initiation into genealogy. It's an ongoing project with surprising stories and unexpected roots. Mark's ancestors weren't Puritans after all (nor did he have a lick of Cherokee), and Kym's relatives from Germany turned out to be from a small Friesian island that was as much Danish as German. And so began our serious exploration of our genealogical roots. It's an on-going passion, and the lessons we're learning in how to research (and where to verify the "facts" we'd collected earlier) have been eye-opening -- not only for our own family stories but also for the connections we've discovered to the larger human tree. In this blog, we share personal family stories but also the genealogical journeys we discover along the way. And we plan to share the lessons we're learning as well as a few tips that just might save others the time and trouble of having to back-track and correct earlier mistakes. Despite the detours we've taken already, the journey has turned into a marvelous journey we never expected -- one we hope will reward those choose to look over our shoulders as we forge ahead. Fiction authors and nonfiction journalists with a passion for exploring the past and the present. Current focus: genealogical adventures.